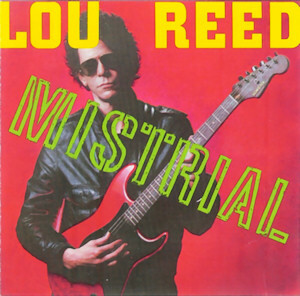 I am sad that Lou Reed is no longer with us, and I have read many heartfelt tributes to the man I once considered my third-favorite songwriter (behind Bob Dylan and Elvis Costello) and the musician behind my third-favorite album (New York, which trailed Paul’s Boutique and Blood on the Tracks). This is not a heartfelt tribute. It’s a memory of my first encounter with Lou, which occurred (of course) on MTV. Here was this not-so-young singer, supposed to be a big deal for some reason (I had heard the name), trying the white-guy-rap thing. I didn’t get the title — that there was a half-serious argument to be made that his talk-singing style, dating from the late-60s was a form of proto-rap. As I was saying, “Original Wrapper” was the first Lou Reed song I ever heard, and it confused me. To this day, it confuses me. Is it a parody of the times, or was it Lou really trying to do the shuffle and appeal to the MTV kids? It’s probaby both. 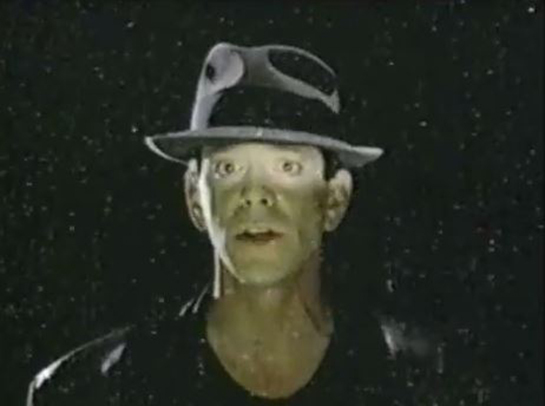 The shots of him wearing a fedora with glitter raining down are supposed to be spoofing Michael Jackson. The roller skaters? Maybe it’s parody, or maybe it’s just unavoidable 80s-ness. The peppy 80s-ness of the guitar and drums — hey, it was going around like a disease, everyone caught a little bit of it. Still, if you didn’t know what Lou Reed or the Velvet Underground were about and you played “Original Wrapper” next to “Rappin’ Rodney” … well, you might see more similarities than you ought.